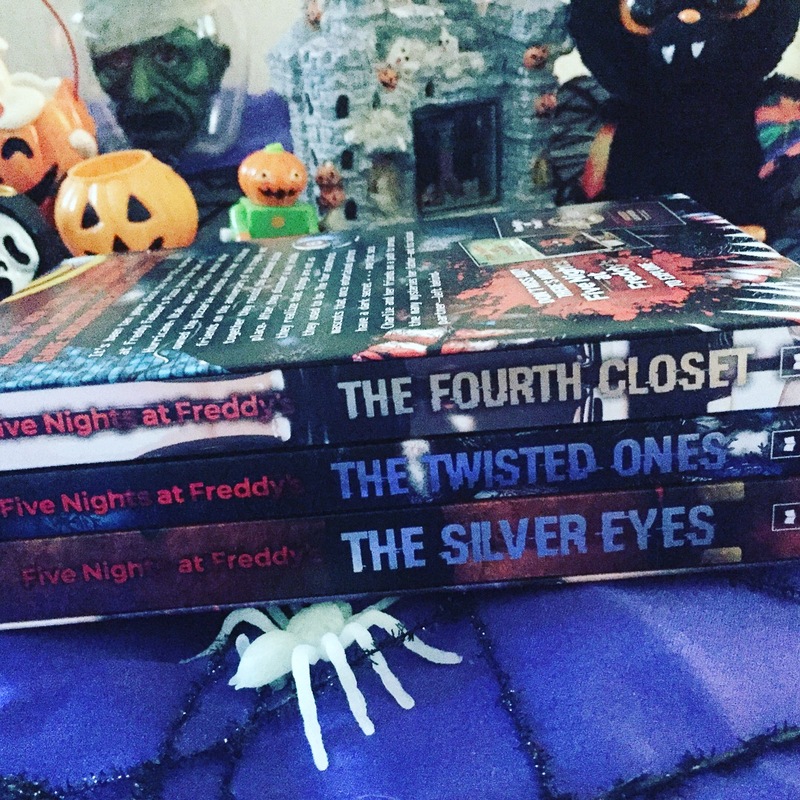 The Five Nights at Freddy's book series by Scott Cawthon and Kira Breed-Wrisley includes books Five Nights at Freddy's: The Silver Eyes, The Twisted Ones, and The Fourth Closet. Five Nights At Freddy's is a fictional pizza restaurant where animatronics are out to kill you. 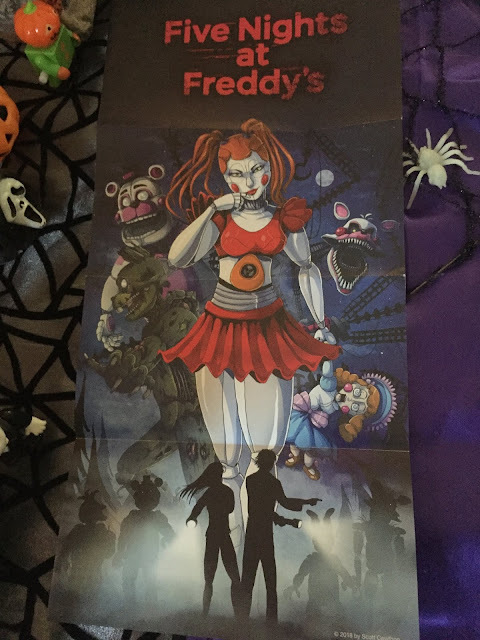 In the game you play as the security guard who must survive the night at Freddys. The game has many jump scares as does the books. If your child loves the game or you are interested in a good read...this is the set for you. Wonderful adaptation of the game and then the poster! My son hung it up in his room before he even opened a book. Definitely a great addition to the franchise. 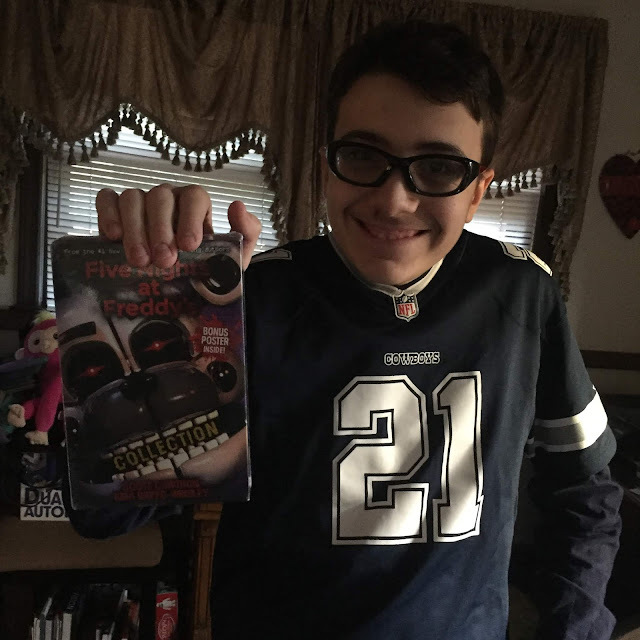 My son was able to cross this off his Christmas list for this year but it will be on my Holiday Gift Guide coming soon.